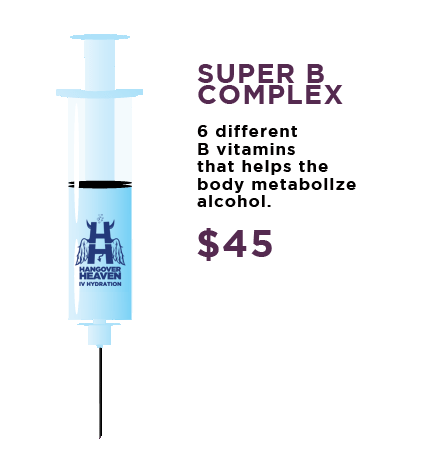 If you only purchase the Salvation Treatment, you will be picked up by our shuttle vehicle for treatment at our convenient clinic. Do you have a major hangover with nausea, headache, dizziness, and that “curl up and die feeling?” If so, you should consider this package. It is our most popular package. Approximately 50% of our clients choose this package. It takes about 35 to 40 minutes to complete. Clinic hours are 8am to 4pm seven days a week. Hangover Heaven is truly brilliant, I wish they had one in every city. Highly recommend this if you’ve had a rough night and want to come back to life. Friendly and eduacated staff, love that they pick you up, and in reality the money is little in comparison to what you probably spent on drinks the night before. Also associated with Vita Heaven next door. I went for IV’s for general health ( I don’t drink). I was happy with the service, and the training and skill level of the staff. The MD was very friendly and down to earth. The staff was very well trained and experienced. The RN who helped me had over 30 years experience. These people know what they are doing and do a great job. I highly recommend. Easily found off Spring Mt west take highland exit off 15 north. Across from Spearment Rhino club, next to Port of Sub sandwich shop. Very nice atmosphere. Clean. Comfortable. Lots of free parking. I got the Meyers cocktail ( google it) and it really helped me with my energy level. Recommended! If you drink or are hung over in Vegas, great option. Also offer oxygen therapy. 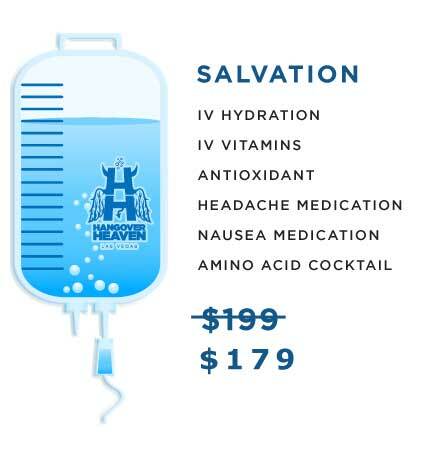 Hangover Heaven is the marketing name, its essentially a medical office that provides nutrition and medication support for overall health, and rehab of hangover symptoms. Super nice people. Pricing very reasonable. Not just for drinkers. Lots of other benefits as well. My whole family suffered from a bad stomach virus last weekend and I thought I got lucky and missed it! Well today I started vomiting and had a huge headache. After seeing Hangover Heaven bus around the area I decided to give it a try. Dr bUrke came directly to my home within 45 min and hooked me up to an IV with anti nausea med. After 1 hour I felt 100% better and was worth every penny. 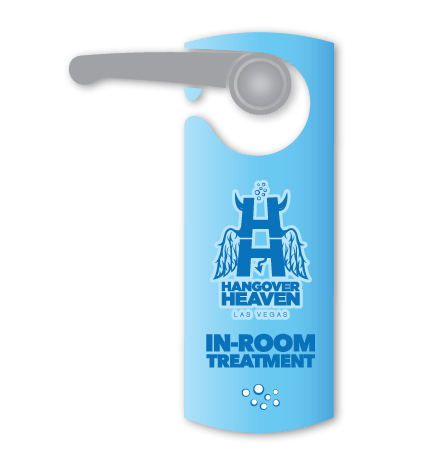 Would def use again and is a great service for both tourists and residents who need to rehydrate and get rid of any nausea and hangover. Wish we thought of it when the family was sick last week. hangover heaven saved my vegas trip. seriously. the hubs was down & out after a long 1st day AND night in LV and needed some immediate medical attn. the staff here was nothing less than perfect. from the guy in the van that picked us up (who kindly handed the hubs a vomit catcher when he started acting up again), to the lady at the clinic who had the consent forms ready for the hubs’ signature upon our arrival, to the nurse who administered his IV and continuously checked on him every 20 mins, to another lady who drove us back to our hotel. the facility was clean, comfortable, and there was even a lounge for me to rest myself (thank goodness). we left with the hubs feeling 200% times better than when he first arrived. this place was a Godsend. i hope i never have to use them again. but if need be, i have their # locked in my contacts… just in case.